Decorating one’s home for the holidays is always a challenge, but it adds cheer to the festivity of the season. Getting the decorations just right can be a family-friendly activity, especially with older children, and when done correctly, it gives the whole family a sense of pride. 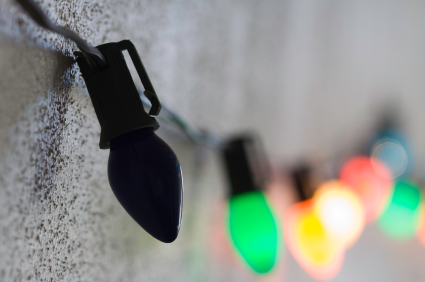 In order to make your holiday decorations stand out this year consider these holiday lighting tips. Prior to adding any actual decorations, it is important to develop a plan. You will want to first establish a focal point and then take into consideration any architectural elements that can be showcased as you move outward. A common focal point would be in the center of the home, such as a door or columns and arches. 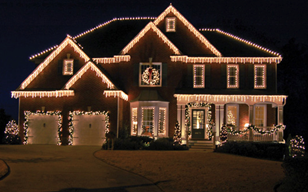 Other areas of the home that work well for placing holiday lights are arches, chimneys, eaves and gables. Creating simple outlines around the structural elements can often lead to a much more aesthetically pleasing visual display than covering the whole home in lights. In addition to lighting the home, many people also enjoy decorating the yard, and any other landscaping elements. Indeed, in certain cases, this can lead to a much more interesting overall display, especially if the yard has ornamental trees, structures such as fountains or sculptures, and paths or garden beds that can be lighted. 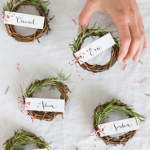 You may want to think about adding decorations beyond lighting such as wreaths, ribbons or garlands to further enhance the scene. Once you have identified where and how you would like to place the lights, it is time to start hanging them. Testing each strand of lights and replacing any broken or burnt out bulbs prior to hanging them can save a lot of time and hassle. It ensures that you won’t have to do it after they are hung. Check the wires and replace any that are broken or worn. To avoid a fire hazard, anything that looks unsafe should be replaced immediately. Take extreme caution to read and follow all instructions and warnings on the lights themselves. Stringing too many together or overloading a socket can also be very dangerous. Once you start hanging from the focal point and moving outward with your lighting, it is important to stand back and reassess periodically to ensure that you maintain balance any symmetry with your lighting. While different sides of the same home rarely have the exact same features, by selecting the appropriate locations for lighting, you can achieve a consistent look. One thing that can be especially joyous during the holidays is working with your neighbors to create a theme for the entire neighborhood. 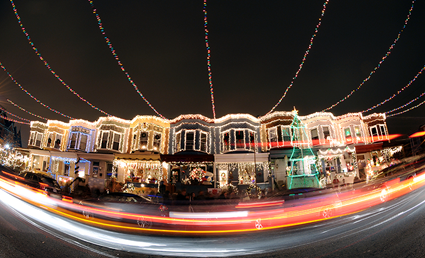 Often, if an entire area participates in similar lighting, it can become one of the major attractions in the community for viewing holiday decorations. If your neighborhood hasn’t done this in the past, it may take some pretty extensive coordination and commitment for the first year or two, however, it can really lead to a magical experience for the entire area. 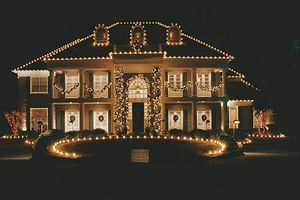 For more information about Holiday Lighting, please visit Mosaik Homes.